Charting out his strategy for the New Year, the Municipal Commissioner, Mr Rakesh Mehta, today announced that MCD would follow the motto “My Progressive Delhi” in 2005. 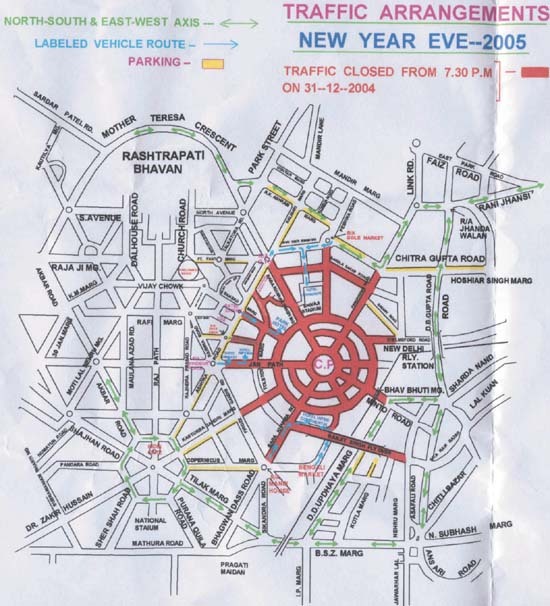 The Delhi Traffic Police has made elaborate traffic arrangements on New Year’s eve in and around Connaught Place area to ensure smooth flow of traffic and asked the public to cooperate with the police officials. While the residents here have been shivering in the cold ever since night temperatures plummeted to touch a new low in the last few days, the poor and the homeless are finding it hard to find a shelter. Universities will now have to seek the University Grants Commission’s approval for granting exemption to those candidates who have not cleared the mandatory NET (National Eligibility Test for Teachers), before selecting them for a lecturer’s post. The district election authorities have asked various political parties and their activists to adhere to the election code of conduct till the completion of the election process. World Bank funds down the drain? The District Magistrate and the Election Officer, Mr Anurag Aggarwal, assured political parties and candidates in the forthcoming Assembly elections that the administration would not take sides and would do its best to conduct fair and impartial election. After the slaughterhouse, it is the turn of vegetable market. The Agriculture Production Marketing Committee is all set to set up a state-of-the-art vegetable market at Gazipur in East Delhi area. The apex licensing body of the Indian music industry, Phonographic Performance Limited, has issued legal notices to four hotels in Delhi - Intercontinental The Grand, Park Royal, Vasant Continental and Hotel Diplomat - asking them to pay copyright license fee for playing music. Doctors are known to engage in one-upmanship, but are seldom known to have come to blows and that too in the operation theatre. The unprecedented and unsavoury incident occurred on the premises of the LLRM Medical College, which happens to be the premier medical college in western UP. In such an advance age, it is amazing that there is one small post office, one letter box and one post man for a population of more than five lakhs in Khora colony, a densely populated residential area near Delhi. Since early childhood education has been acknowledged as a means of facilitating balanced development of children in all domains, apart from preparing them for primary school, the Focus Group on Early Childhood Education, as part of the Review of National Curriculum Framework, has begun deliberations on preparing a comprehensive report on the subject. The Delhi University has decided to contribute Rs 25 lakhs to Prime Minister’s Relief fund to assist the relief operations for victims of tsunami. The management committee of the Vice Chancellor’s Relief fund, including the Vice Chancellor, has resolved to contribute three day’s gross salary to the fund for the victims. The Indian Airlines has since the day of the Tsunami tragedy operated 30 relief flights to Port Blair and back from Kolkata and Chennai, evacuating more than 3000 passengers from Port Blair and has carried more than 60 tonnes of relief material to the affected area. 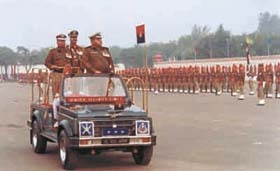 A parade was held at Chhawla Campus today to bid farewell to Ajai Raj Sharma who is demitting office of the Director General, Border Security Force, on December 31, 2004. BSF Director-General Ajai Raj Sharma taking a guard of honour at the Farewell Parade in the Capital on Thursday. Two senior police officials have been relieved of their duties and repatriated to Ghaziabad district by Gautam Buddh Nagar police chief Mr Piyush Mordia. The West district police have arrested 13 persons in three separate incidents. One of the persons has been arrested under the Arms Act, 11 under the Gambling Act and one under the Excise Act. With the arrest of two persons, the Delhi Police claim to have busted a gang that was active in making duplicate Xerox Modi photostat toners. The accused have been identified as Pramod Kumar and Krishan Verma. The motto would be adhered to not only in critical areas of civic services, but cover a wide gamut of internal processes aimed at ushering in greater automation, computerization, citizen-friendly measures and outsourcing. 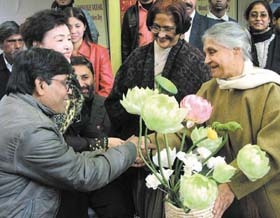 The progressive reforms initiated in many areas of functioning would be decisive in making MCD not only a “Citizen-Centric Institution” but also a modern civic organization intune with technological advancements and holistic visionof a progressive city.While briefing newsmen in the annual conference, Mr Mehta said that new building bylaws were expected to take final shape in the coming year. Experts are working on the bylaws in Ahmedabad, Kolkatta and Delhi and the preparation is in the last stage. It will prove to be a major structural reform after the Unit Area Method of property tax assessment. “We hope to shortly introduce the new bylaws which would be in tune with current realities and take account of the city’s development in the last five decades”, he claimed. Outlining his course of action in the coming year he said that the E-governance programme of the MCD – including networking,setting up of a data center, integrated citizen servicebureaus, grievance monitoring etc — will be completed in2005. He disclosed that MCD is appointing an Advisor, Information Technology, from January 1, 2005 for effective implementation of E-governancee programmes. “We would set up online tendering through internet to defeat ill-intended tender mafia and bring in greater transparency and accountability,’’ he added. The new year will witness the complete implementation ofprivate management of transportation of municipal solidwaste in six zones, including Civil Lines, Rohini, Shahdara (North) and Shahdara (South). The Municipal Commissioner said that the use ofbio-degradable plastic bags will be made compulsory, so asto eliminate the nuisance of plastic bags in municipalwaste. The Delhi Government has already been requested to amend the Delhi Plastic Act to ensure compulsory use of degradable/biodegradable plastic bags by commercial establishments, shopkeepers, hawkers etc. The coming year is expected to witness an advertising blitz:the Urban Graphics Forum has taken key decisions, which are ready to be implemented, disclosd Mr Mehta. It will bring greater revenue to MCD as well as add to the urban design form of the capital. The Commissioner hoped that the new modernabattoir will start functioning by the end of 2005. He informed media persons that work on the project is in full swing in compliance with the order of the Supreme Court. The year 2005 will see the new Civic Center start takingshape from March onwards. He also hoped that during the coming year the Heritage Society will give fillip to conservation efforts in collaboration with INTAC, DTDC, ASI, DDA, NDMC and other heritage-concern groups.The coming year will see the formation of a Division of Environment within the Sanitation Department to help develop a professional approach. Mr Mehta said that corporation also proposed to set up a Tourism Cell in the MCD to interact with institutions dealing with tourism such as the DTTDC. An important area of reform in the coming year would be quality testing of all products being used in the MCD. Outlining the achievements of 2004, Mr Mehta said that the Unit Area System of property tax assessment has been successfully implemented in Delhi from April 1, 2004. The people of Delhi had welcomed it, though many people initially had doubts about its impact. Overall, the taxes have come down and the tax base has broadened. Besides, inspector raj has been abolished in the Property Tax Department. The contract for Public-Private Partnership inmanagement of Municipal Solid Waste has been successfully concluded in six municipal zones and its beneficial impact would be seen in 2005, said Mr Mehta. The Municipal Commissioner observed that there was strong public support for the plan to check unauthorized constructions, particularly commercialization of the residential areas. Mr Mehta observed that speaking of overall performance of the MCD during 2004, it could be said that the civic body had secured greater public cooperation in many areas like garbage segregation, tax collections, unauthorized constructions and commercialization of residential areas. Cooked mid-day meal was served to 9.5 lakh children studying in MCD primary and nursery schools. Computer education was successfully introduced in 500 schools. The Delhi Traffic Police has made elaborate traffic arrangements on New Year’s eve in and around Connaught Place area to ensure smooth flow of traffic and asked the public to cooperate with the police officials. Joint Commissioner of Police (Traffic) Qamar Ahmed said that rash driving would not be tolerated and asked the youngsters to adhere to traffic rules. Mr Ahmed also cautioned drunken drivers and said those who violate traffic rules would invite strict punishment. To check drunken driving traffic police teams at strategic points will be equipped with Alco Meters. Those found guilty of drunken driving can be prosecuted along with a fine of Rs 2,000. Regular traffic towards the Connaught Place will be closed from 7.30 pm and no vehicles would be allowed in the area, he said. Vehicles will not be allowed to proceed towards Connaught Place beyond R/A Mandi House, R/A Bengali Market, North Foot of Ranjit Singh Flyover, Minto Road – Deen Dayal Upadhaya Marg Crossing, Chelmsford Road near Munje Chowk (New Delhi Railway Station), R/A Ashram Marg crossing, R/A Gole Market, R/A GPO, Patel Chowk, Kasturba Gandhi Road and Ferozshah Road crossing. Motorists from the Connaught Place area can use Sansad Marg, Janpath, K G Marg, Barakhamba Road, Minto Road, Panchkuian Road, Bhagat Singh Marg and Baba Kharak Singh Marg to reach their destinations. Motorists are advised to use alternative routes available for North-South and East-West directions. From North-South, they are advised to use Mathura Road, Ring Road and Bahadurshah Zafar Marg and Link Road. Similarly Mother Teresa Crescent Road and Rani Jhansi Marg are available for North-South connection. Motorists who wish to go from East-West are advised to take ‘C’ Hexagon, Akbar Road, Mother Teresa Crescent and Park Street for onward journey to reach Delhi Gate. Those who wish to reach New Delhi Railway Station are advised to avoid Connaught Place and use the second Entry Gate of Ajmeri Gate side. They can take routes like Pahar Ganj, Shiela Cinema or can reach Ajmeri Gate-JLN Marg side via Bahadurshah Zafar Marg, Delhi Gate and JLN Marg. The police have also made parking arrangements for those who wish to reach Connaught Place. The parking will be available near Gole Dak Khana on Kali Bari Marg and Pt. Pant Marg, near Patel Chowk on Rakab Ganj Road behind AIR, near Windsor Place on Ashoka Road pavement toward Hyderabad House and Jantar Mantar Road near Youth Congress office, near Mandi House on Copernicus Marg upto Baroda House, near Minto Road on DD Upadhaya Marg and Press Road area, Panchkuian road on RK Ashram Marg, Chitragupta Road and Basant Road towards Paharganj and K G Marg near Ferozshah Road or KG Marg towards ‘C’ Hexagon. For the convenience of the public, traffic police personnel have been posted at places like hotels, markets and religious places to ensure smooth flow of traffic. The traffic police have also erected pickets on several roads to check reckless driving. While the residents here have been shivering in the cold ever since night temperatures plummeted to touch a new low in the last few days, the poor and the homeless are finding it hard to find a shelter. The city, which is a premier industrial town of northern India with a population of 15 lakhs, has no government shelter for the homeless. It is reported that hundreds of people from the neighbourhood and even far away places migrate to faridabad each year in search of work and employment. Most of the migrants in the city are labourer. However, these labourers either reside in slum colonies or in the jhuggi clusters in various pockets. While a large number of such colonies are unauthorised, many of these areas are facing the wrath of the municipal authorities due to the ongoing anti-encroachment drive. According to reports, many people, who are residing in such colonies and clusters, had become homeless after the municipal authorities razed their jhuggis a few years ago. There were about 10,000 rickshaw-pullers in the town and the majority of these were either living in jhuggis or in makeshift tents, says H. S. Rathi, a social activist. Claiming that many such persons do spend a night in the open, either under trees or wherever they can find space with some cover — like bus shelters, under flyovers, railway stations and bus stands. He said that the government in neighbouring Delhi had built several shelters for such people, but the state government or the district administration had made no move in this direction so far, leaving the homeless in the lurch. Thousands of labourers and contract workers, who have been given no residential facility by the industries or their employers, are forced to reside in jhuggis and slum colonies. Meanwhile, the general secretary of the Manav Sewa Samiti in Sector- 10 here announced its decision to distribute about 101 quilts among the poor and homeless at a function to be held on January 9. The samiti will also be holding a free eye check-up camp for the poor in February next, he said. According to a notice issued by the UGC, the decision to seek its approval before selecting the candidates is aimed at avoiding unnecessary expenditure incurred on litigation as also to streamline the appointment procedures. The UGC has written to the universities asking them to seek its clearance for granting exemption to those candidates who have not cleared the mandatory NET. All candidates who are appointed by colleges have to clear the NET conducted by the UGC; however, ad hoc appointments are often made allowing the candidates to clear the qualifying exam in the interim. The UGC has, however, taken exception to the practice followed by colleges, wherein the ad hoc candidates who have not cleared the NET are first selected and then the proposals are sent to the UGC for exemption. In a notice sent to the colleges, the UGC has specified that all such appointments will be made following the clearance given by it. “The proposals may be sent to the UGC immediately after the selection of the candidates by the Selection Committee in the prescribed proforma along with sound justification (through the university in the case of affiliated colleges) for relaxation/exemption as per UGC norms in a particular subject in which NET/SLET is not being conducted or sufficient number of candidates are not available with NET/SLET qualifications for a specified period only”, the notice reads. The decision to alter the procedure, which was being followed till recently, was cleared by the commission at its meeting on August 13, 2004. The Commission has specified that NET Exemption may be granted if the special circumstances are clearly spelt out. In case, NET Exemption is granted in view of the special circumstances, the candidates are required to clear the NET within a period of two years from the date of issue of communication of exemption by the UGC. At a meeting held here today, the election authorities made public the guidelines required to be fulfilled by the political party workers and the candidates who are seeking election. Several topics relating to the election process were discussed at the meeting, which was attended by the representatives of various political parties. The election officials told the participants that the code of conduct has to be observed strictly and every worker and leader, irrespective of political parties, ought to be aware of the details regarding the norms. It was stated that the party workers as well as the candidates should stick to certain norms, which are laid down by the Election Commission of India. No party should generate any kind of ill will and hatred among the communities or caste groups. Nor should any religious place be used for election campaign. Regarding processions or marches, parties have been asked to inform the police about the route and time of such events in advance; parties ought to ensure that such an event does not create a serious traffic problem or a jam like situation, causing inconvenience to the public. The parties have been asked to avoid carrying effigies of leaders and said they are not allowed to burn them in public during this period. On use of vehicles and loudspeakers, the EC has said that candidates or parties will have to take permission of the Returning Officer of the region and no government vehicle can be used in the election campaign of any candidate. The loudspeakers will be allowed to be used from 6 am to 10 pm in urban areas and from 6 am to 11 am in the rural areas. But these also required the permission of the authorities concerned. The officials have further asked the printing presses to not to print any matter, including posters, phamplets or handbills, without the name of the publisher or the printing press on such matter; also, three copies of such matter would have to be submitted before the District Magistrate. It says the violation could result in imprisonment and a fine. While the security deposit for a candidate will be Rs 5,000 (general) and Rs 2,500 (reserved category), the candidates have been told to spend an amount up to Rs 10 lakh only and the record of the expenditure will have to be maintained for submission. The authorities will get public places photographed and no one will be allowed to deface public or private property. Any violation on this front will also been dealt with strictly and according to the provisions, said the officials. Addressing the representatives of different political parties and resident welfare association officer-bearers here, Mr Aggarwal asked them to ensure that the code of conduct is not violated. The officer further directed the prospective candidates not to field dummy candidates who indirectly canvass for actual candidates. He warned that if such candidates are found on the ground canvassing for other candidates (and not for himself), they would be punished under the prevailing laws. He further explained that the vehicles of dummy candidates would be compounded and all electoral expenses of dummy candidates would be transferred to the candidate for whom he is canvassing. The District Election Officer further directed all prospective candidates not to paste pamphlets, posters and banners at public places. Such publicity material should also not be pasted on private properties without the permission of property owners. No candidate is empowered to deface the city by asking the public to vote in his/her favour. He elaborated that the district administration would allot specific sites for displaying publicity material in the city and also fix the places for organising a public rally in all the six Assembly constituencies in the district. The administration would establish round the clock helplines, where the voter can get information of his/her booth number and its location to cast the vote. The local authorities today clarified that the duplication of names in the voters’ list was with regard to Panchayat and muncipalities, not Assembly elections. The Tribune had carried a story dated December 18 pointing out duplication of names of voters in the lists pertaining to village Panchayats and municipalities in the district. Common names were inscribed in the revised lists. After the slaughterhouse, it is the turn of vegetable market. The Agriculture Production Marketing Committee (APMC) is all set to set up a state-of-the-art vegetable market at Gazipur in East Delhi area. According to the president of this committee, Ch. Mahendra Singh, ‘‘We have been allotted 37. 5 acres of land in this area by Delhi Development Authority (DDA) through the Delhi government after paying Rs. 20 crore for this purpose. “We are trying to develop this place as the most modern vegetable market in Asia with an initial investment of Rs.45 crores. Under the proposal, a huge cold storage, peasant huts, a bank, eating joints, a big parking lot with the capacity to accommodate 400 trucks will be developed. Permanent cabins will be provided to 240 vegetable merchants of ‘A’ category to 402 such merchants of ‘B’ category. We are planning to accommodate 50 such vegetable merchants of Jheel vegetable market and 75 vegetable merchants of Yamuna Pustha area in the proposed market, “he said. He said that once the market was fully operational by end of 2006, it would generate revenue to the tune of Rs. 3 crore. Currently, it is about Rs. one crore. “Due to proximity to border area, the trucks laden with vegetable mostly come from Maharashtra, Gujarat, Karnataka, Madhya Pradesh, Rajasthan, Haryana, Punjab, Uttar Pradesh and Himachal Pradesh. So, after the completion of the revamp, we are expecting the business to boom,’’he said. The market had been shifted here from Shahdara four years earlier due to Metro. But since then, the market is being run on unorganised lines. In a statement here, the PPL said a number of hotels and restaurants had not paid it licence fee for events planned on New Year’s eve and it would take the matter to the Delhi High Court for violation of copyright laws. Under Section 35 of the Copyright Act, playing commercial music without paying a copyright licence fee is illegal. The section grants PPL the authority to issue licences to pubs and restaurants for playing music during events on their premises. Doctors are known to engage in one-upmanship, but are seldom known to have come to blows and that too in the operation theatre. The unprecedented and unsavoury incident occurred on the premises of the LLRM Medical College, which happens to be the premier medical college in western UP. It so happened that a cancer patient was scheduled to be operated upon in the Surgery Department. However, a woman patient had already been wheeled into the operation theatre and was lying on the operation table. At this, the two doctors – one of the Surgery department and the other a Senior Resident – instead of amicably sorting out the row on first-come first-served basis, lost their cool and started punching each other. At the end of a long session of fisticuffs, both the doctors were nursing their injuries. In fact, one of them had even fainted at the spot. He was later rushed to emergency department for medical aid. Subsequently, some junior doctors of the medical college also joined the free-for-all and were reportedly injured in the fracas. Finally, the local police descended on the hospital and calmed down the livid doctors. The doctor who had fainted lodged a complaint with the local police station. The whole drama continued till late in the evening. According to the sources, Ravi Bisht, a cancer patient, was to be operated upon. However, a woman patient, Shanti Devi, was by mistake rushed to the OT. The doctor on duty in the OT, Dr D L Bhagwat, refused to operate her as he did not have her particulars. 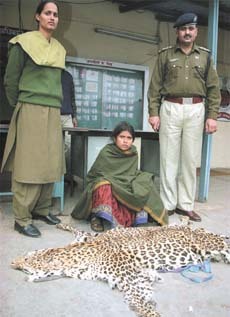 However, the Senior Resident Doctor, Mr Vishal Saxena, was adamant that she be operated. The name and other particulars could be verified later, he insisted. Later, a heated exchange ensued that turned into a wrestling event between the two. The patients on the operation table and in the adjoining waiting room scurried out of the premises lest they were caught in the crossfire. Dr Vishal, who had fainted in the scuffle, has been hospitalised in the Emergency Department. The CMC of the Emergency Department told The Tribune that Dr Vishal was badly beaten up and was threatened that he would be booked under provision of SC/ST Act. Dr Bhagwat has refuted the allegation. He also lodged a complaint against four doctors in this connection. According to an official of the medical college, the situation in the hospital is tense but under control. Later, the Principal of the Medical College tried to bring about a reconciliation. In such an advance age, it is amazing that there is one small post office, one letter box and one post man for a population of more than five lakhs in Khora colony, a densely populated residential area near Delhi. Due to this reason, most residents of this colony have to trudge miles to drop their letters as if they were living in some remote area of the country. And all this thanks to the apathy of the postal department. A resident of this colony, Mr. Ram Prakash, said that it was better if he visited other post offices situated in nearby areas like Mayur Vihar Phase - 3 and Noida Sector – 56. The lone post office of Khora colony is situated at Shani Bazar, which is very small with one letterbox and one postman attached to it. It is also too small, if one considers the density of population of this colony. Due to shortage of postmen, letters hardly ever reach their destinations. The residents have raised this issue many times and brought it to the notice of concerned officials but to no avail. When contacted in this regard, the Mailing In–charge of the Ghaziabad-based head post office of this area, Mr. V. P. Singh, said that an additional letterbox could be installed on the written request of the local residents. “One such letter box is being installed in Rajat Vihar area of this colony. If we receive other genuine requests, then more such letterboxes would be installed in other locations of the colony. A local social worker and the president of the Raastriya Vikas Manch, Mr. Jitendra Nath Dogra, said that if with the same population Noida had a dozens post offices and more than a hundred letter boxes, then why not at Khora. We must have at least 5 to 6 post offices and 20 to 25 letterboxes. “Khora is a less developed colony. Unlike the residents of Noida, the residents of this colony seldom use other modes of communication like e – mail, SMS and courier services. They are dependent on the postal services run by the government. So, our genuine problem should be fulfilled on a priority basis,” he said. Headed by Prof Mina Swaminathan, the committee met at NCERT here today. It was pointed out that ECE is an important area identified in National Policy on Education and is viewed as a feeder and support program for primary education and as a support for working women of the disadvantaged group. ECE, it was added, serves the purpose of achieving balanced development in all domains, that is physical, mental, social, personal, emotional and aesthetic, through the provisions of appropriate care and support services. The group will deliberate on the subject to prepare a comprehensive report and give its recommendations to the NCF steering committee. The process group will also interact with the teachers and headmistresses to reach the conclusions. In her opening address, Prof. Mina Swaminathan, Chairperson of the National Focus Group on Early Childhood Education, said there is a need to prepare a state-of-the-art scholarly framework for the subject. The perspective document should have broad guidelines and be effective so that the Early Childhood Education concept can be used efficiently. She added that the committee will have to keep developing norms, standards, multiple training and diverse courses to make the concept more meaningful. The Delhi University has decided to contribute Rs 25 lakhs to Prime Minister’s Relief fund to assist the relief operations for victims of tsunami. The management committee of the Vice Chancellor’s Relief fund, including the Vice Chancellor, has resolved to contribute three day’s gross salary to the fund for the victims. In his farewell address, he said that BSF was the largest paramilitary force in the world and he wished it also to be best. To be the best, BSF personnel should further inculcate in themselves the virtues of discipline, training, and high morale. He particularly emphasised the need for maintaining cordial relations with people in border areas and on acquiring modern technology. He said that the government has sanctioned 27 battalion headquarters in various states to cope with the problem of family accommodation for all ranks in their respective home states. The transferred officials originally belonged to the Ghaziabad district and had been posted to Noida following the cancellation of the Gautam Buddh Nagar district by the Uttar Pradesh Government in 2003, Mr Mordia said today. The relieved officials, R N Singh Yadav, SHO Sector 20 and Mohd Aslam, SHO, Jharja have been replaced by Mr Kamal Singh Yadav, presently PRO to the police, and R K Sharma from Police Lines, respectively. There are several other police officers from the Ghaziabad district who would be, in due course, relieved from duties in Gautam Buddh Nagar, Mr Mordia added. According to the DCP, west district, in the first incident, a patrolling team of Patel Nagar police had arrested one Anil, alias Sura, from the railway line in Pandav Nagar and recovered a country made pistol from his possession. In the second incident, the local police in Uttam Nagar arrested 11 persons under the Gambling Act and recovered Rs 21,000 from their possession. In the third incident, the police intercepted a Maruti Van on the Main Rohtak Road and recovered 740 quarters of illicit liquor. The police have arrested one Raj Kumar in this connection. The police said that the accused had been arrested after information was received that some persons were indulging in unlawful activities in Sarojini Nagar Market in Southwest district. A police party from southwest district raided the spot and apprehended one of the accused, Pramod, and recovered 10 bottles of duplicate Xerox toners from his possession. During interrogation, he made disclosures about his godown and manufacturing unit, where he had stored a stock of duplicate toners, empty bottles, printed bottles, bottle caps, cartridges and corrugated boxes.